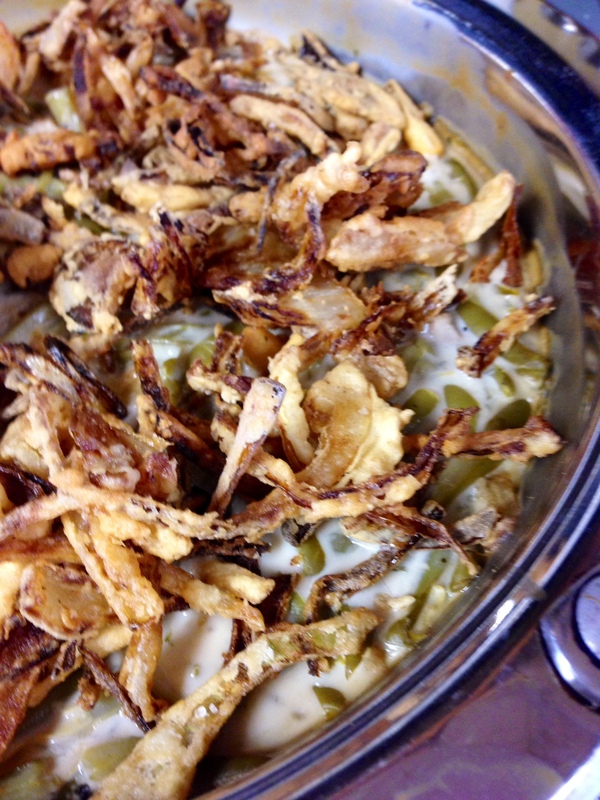 Green bean casserole | The Gluten Free Clan and our adventures…. Gluten free green bean casserole with crispy onion rings on top. 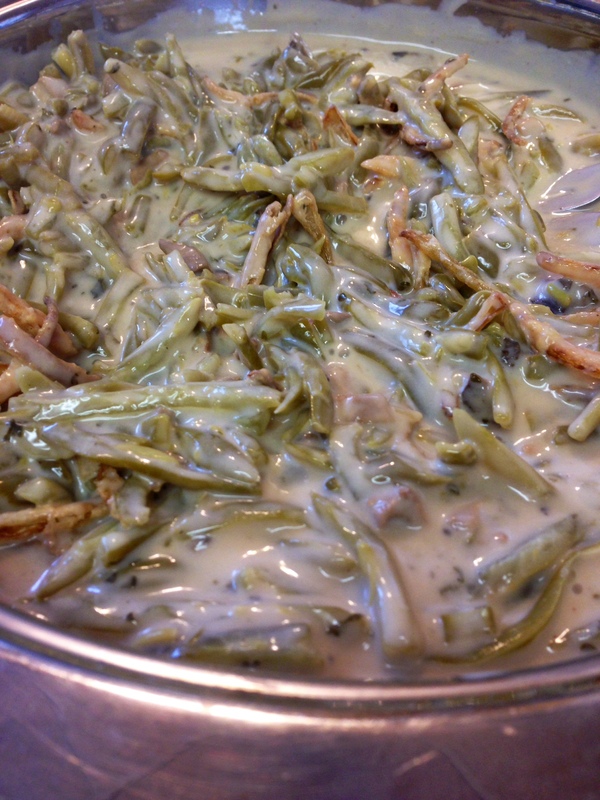 I don’t know about your family table at Thanksgiving but at ours there has always been a green bean casserole. However, since we discovered that we need to eat gluten free that same dish has been so missed, that is until now. 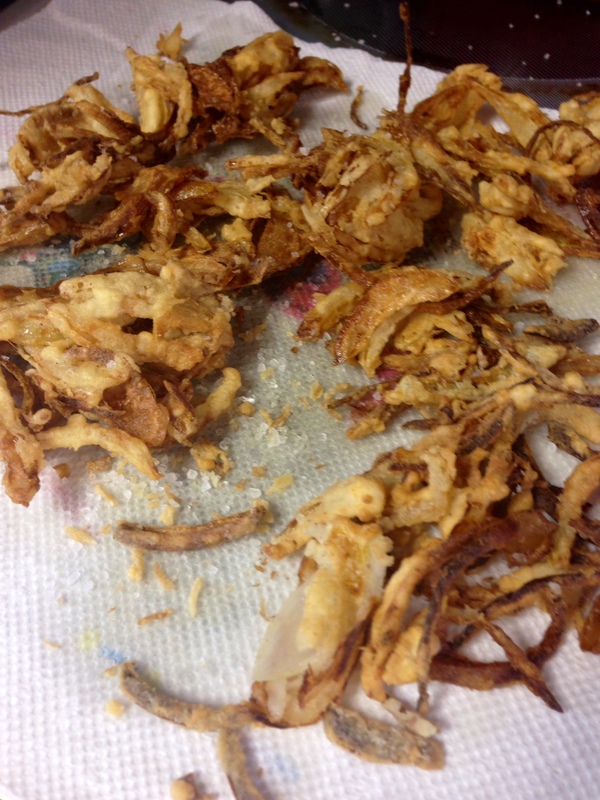 This dish takes a little longer because your going to be frying your own crispy onion rings. But honestly, it is so worth it! When making your crispy onion rings here’s a piece of advice. Make extras! you won’t be able to stop snacking on them! At least I couldn’t. If you like me missed this dish because of that pesty gluten give it a try and here is what you will need. Heat oven to 350°F. Place onions and milk in medium bowl; let stand. In deep fryer or 4-quart Dutch oven, heat oil (2 inches) to 375°F. In resealable plastic food storage bag, mix gluten free Bisquick mix or gluten free all purpose flour, salt and pepper until well mixed. Drain onions. Place onions in bag; shake to coat. Remove onions from bag shaking off excess. 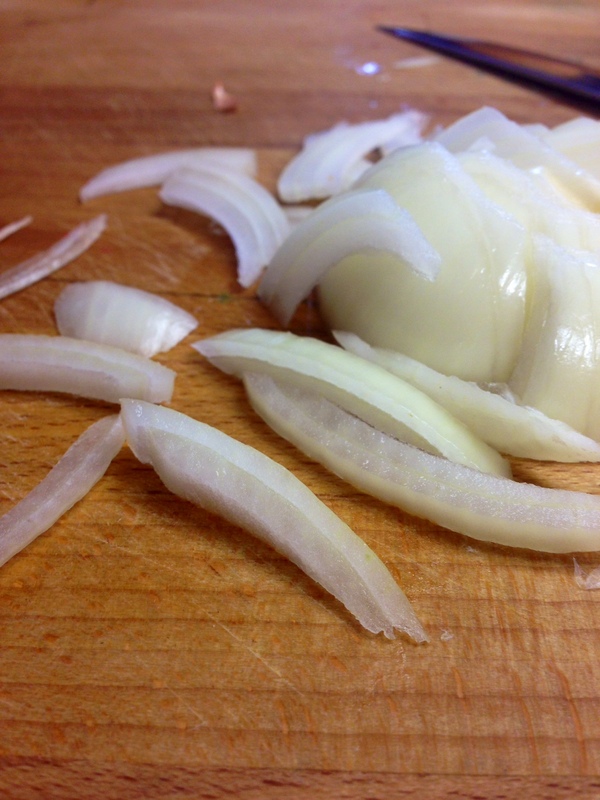 Gently place half of onions in oil; fry 2 to 4 minutes (closer to the 4 minutes for extra crispy) or until golden brown. Drain on paper towels and lightly salt. Repeat with remaining onions. Let onions stand while preparing bean mixture. In non-greased 3-quart casserole, mix soup, soy sauce, pepper, French Style green beans and 1 1/2 cups of the onions. Bake 25 to 30 minutes covered or until hot and bubbly, uncover and add remaining onions during last 5 minutes of baking.